This entry was posted on 20th March 2018 by Muireann. 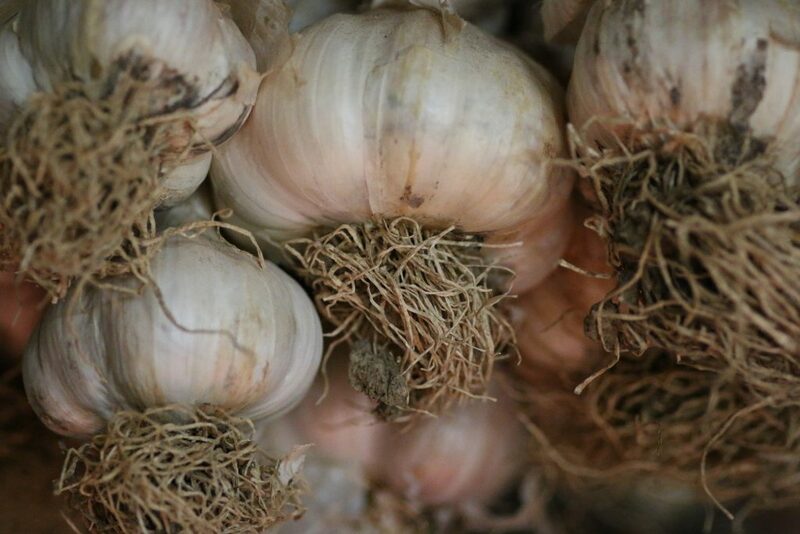 Flavor Softneck garlic is a an organic Garlic for Spring planting. Flavor Garlic has lovely ivory/pink cloves of fine flavour. Can be used green in salads or left to mature for cooking. Wonderful roasted whole in olive oil with new potatoes and rosemary. Garlic is planted from bulb segments (cloves), so break up the bulb carefully into individual segments prior to planting. Make sure that the cloves are planted the right way up: the flatter basal plate should be facing downwards. Allow 15cm between individual cloves and 30cm between rows. Plant the cloves so the tips are 2.5cm below soil surface. Deeper planting can encourage better yields on light soils, but do not plant deeply on heavy soils. As the foliage of garlic casts little shade, the crop can be easily swamped by weeds, so hand weed regularly. Garlic suffers from similar pest and disease problems as onions and leeks. Softneck cultivars occasionally produce flower stalk if exposed to adverse growing conditions such as high temperatures or drought. If the bulbs start splitting the crop was harvested too late. Shallow planting and late harvesting can lead to some of the cloves going green. They can be used as normal, but they are unlikely to store well.